MONDAY, April 4, 2016 (HealthDay News) -- New research adds to growing evidence that weight-loss surgery helps patients with type 2 diabetes lower their blood sugar levels for at least five years. "Left unchecked, diabetes can lead to kidney failure, blindness and limb amputation," study co-author Dr. Sangeeta Kashyap, an endocrinologist at the Cleveland Clinic's Endocrinology & Metabolism Institute, explained in a hospital news release. "At the five-year mark, bariatric [weight-loss] surgery's metabolic effect persists and is more effective at treating type 2 diabetes in moderate and severely obese patients when compared to medical therapy," Kashyap added. Diabetes affects 29 million people in the United States, according to the U.S. Centers for Disease Control and Prevention. More than 70,000 people die each year from complications associated with diabetes, the American Diabetes Association reports. 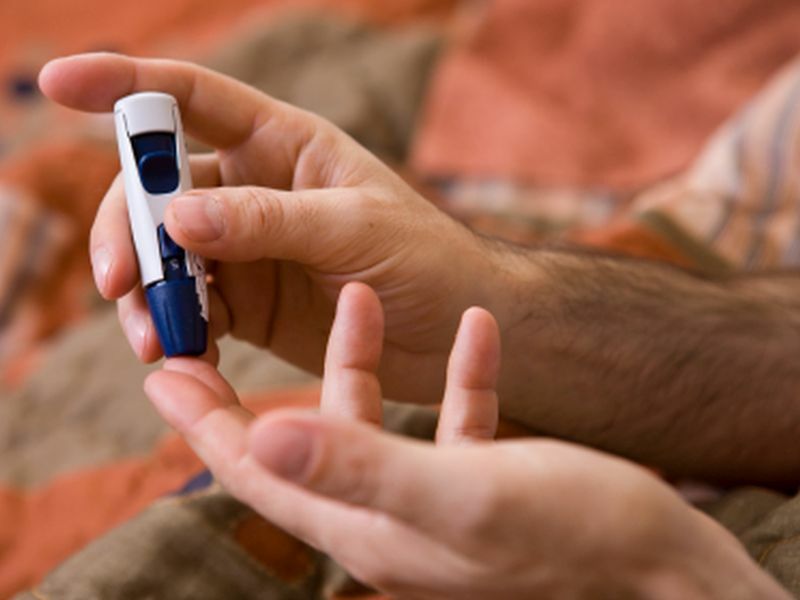 About half of those taking medication to treat type 2 diabetes are still not able to keep their blood sugar levels under control, the researchers noted. But British researchers reported in The Lancet medical journal last September that weight-loss surgery helped type 2 diabetes patients fight their disease. Five years after surgery, half of 38 patients who had surgery saw their diabetes go into remission, compared to none of the 15 patients in the medication-only group. In this latest study, 150 overweight people with poorly controlled type 2 diabetes were divided into three groups. The first group received counseling and medications ("medical therapy"). The second group received medications and also had gastric bypass surgery. The final group had medications and had a different weight-loss surgery, called sleeve gastrectomy. In gastric bypass surgery, the stomach is divided into a small upper pouch and a much larger lower "remnant" pouch, and the small intestine is rearranged to connect to both. With sleeve gastrectomy, a large portion of the stomach is actually removed. The effectiveness of each treatment strategy was assessed using a hemoglobin A1C test. This test gauges a person's average blood sugar control over the past three months. The researchers examined which patients achieved a level of 6 percent or less -- a more aggressive blood sugar level target than recommended by the American Diabetes Association. After five years, the rates of reaching and maintaining blood sugar levels of 6 percent or less were significantly higher among those who had weight-loss surgery. The findings showed that 29 percent of those who had gastric bypass surgery and 23 percent of those who had a sleeve gastrectomy reached the target level, while only 5 percent of the medication-only group did. The use of heart medications, insulin or other drugs to treat diabetes was also much lower among patients who had either weight-loss surgery, the investigators found. And, more than 88 percent of those who had surgery were able to keep their blood sugar levels in check without insulin, according to the report. "Our findings show continued durability of glycemic [blood sugar] control after metabolic surgery, as well as persistent weight loss, [and] reduction in diabetes and cardiovascular medications at five years," study author Dr. Philip Schauer said in the news release. Schauer is a bariatric surgeon at the Cleveland Clinic. However, the researchers noted that weight-loss surgery is associated with some risk for certain complications. "The superior benefits of surgery to attain diabetes treatment goals must be carefully balanced with the long-term risks associated with surgery for individual patients," said Kashyap. The study authors also suggested that gastric bypass may have greater benefits than other forms of weight-loss surgery. "Some advantages of gastric bypass over sleeve gastrectomy have emerged during follow-up," Schauer said. "At five years, gastric bypass maintained greater weight loss than sleeve gastrectomy, while requiring fewer medications." The researchers suggested the findings could increase the number of people with poor blood sugar control who could be considered candidates for weight-loss surgery. "Most clinical guidelines and insurance policies for bariatric surgery limit access to patients with a BMI [body mass index, which measures body fat] of 35 or above," said Schauer. "Our five-year results demonstrate that glycemic improvement in patients with a BMI of 27 to 34 is durable at least up to five years." The findings were to be presented Monday at the annual meeting of the American College of Cardiology, in Chicago. Research presented at medical meetings is considered preliminary until published in a peer-reviewed medical journal.